LeBron James has appeared in as many NBA Finals in which Tim Duncan has won, five. The San Antonio Spurs defeated the Miami Heat 104-87 in Game 5 of the 2014 NBA Finals delivering their fifth title to the Alamo City. James delivered the chips and the dip in the first quarter on the offensive and defensive end. San Antonio cleaned up an early 16-point deficit and took apart Miami for the fourth time in the series, stymying the Heat’s quest for a third straight championship. A year after the Spurs suffered their only loss in six Finals appearances, they turned the rematch into no match worth watching for the Heat faithful. “We had a great first quarter, but from that point on they were the better team, and that’s why they’re the champions in 2014,” said James, who led the Heat with 31 points and 10 rebounds. James is part of the big three that includes Dwyane Wade and Chris Bosh, however presently Tim Duncan, Manu Ginobili and Tony Parker, are the winningest trio in NBA postseason history. The Spurs outscored the Heat by 14 points per game in the 2014 NBA Finals, the largest points differential in a single series in Finals history. Game 5 was the Spurs’ 12th win by 15 or more points, most ever in a postseason. “It makes last year OK,” Duncan said. Finals MVP Kawhi Leonard had 22 points and 10 rebounds for the Spurs, who added this title to the ones they won in 1999, 2003, ’05 and ’07. LeBron James showed signs that the teams might be traveling back to Miami for Game 6, but the Heat were the parked car trapped on the tracks from a distance the train was coming, and there was no help for James from his teammates. Chris Bosh finished with 13 points and Dwyane Wade scored just 11 on 4-of-12 shooting for the Heat. I said it was over in Game 4 as it stands; no team in NBA Finals history had overcome a 3-1 series deficit prior to this series. The Spurs made it look very easy. The NBA season is not over by a long shot. Carmelo Anthony of the New York Knicks can opt out of his contract. Same can be said for James, Wade and Bosh out of their contracts with the Miami Heat, with all possibly signing with a new team. 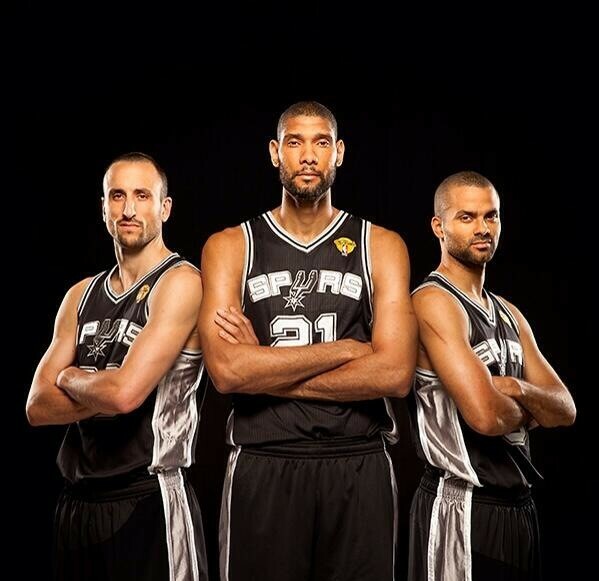 I doubt any of that will overshadow the Spurs as not one, not two, not three, not four, but five-time NBA champions.